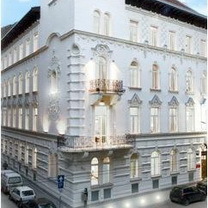 4-star-hotel in the 5th district of Budapest. Address: 1054 Budapest, Kálmán Imre u. 19. The hotel has 65 rooms. In a prime Budapest location, our Hotel Parlament**** has been welcoming its guests since 2006, offering 65 "art-deco” style, comfortable rooms with modern equipment. All public areas and rooms have been totally refurbished for the 10th anniversary of the hotel by offering our guests friendly atmosphere with unique design. HOTEL PARLAMENT is a new delicate four star hotel in the business centre of Budapest designed in harmony of the minimal-art style beauty. The Houses of Parliament, the marvellous Danube bank and the memorable sites of the World Heritage are just a few minutes walk from the Hotel as well as the biggest shopping centre of Budapest. Each of the 65 guest rooms designed in "minimal art" style outfitted with streamlined amenities. Air-condition, satellite TV (LCD screen), in-room safe, telephone (voicemail), free usage of Internet, mini-bar, hairdryer. Airport transfer on request, 24-hour reception service, multilingual staff, lift, air conditioned public areas and rooms, rich buffet breakfast, Lounge Bar with free coffee, tea, mineral water, conference and break-out rooms, free usage of Internet, wellness room (sauna, jacuzzi), library with international newspapers, laundry service, ticket booking, programme organization, Rent a car service, E-mail, Internet, Phone-, Fax and photocopy service.